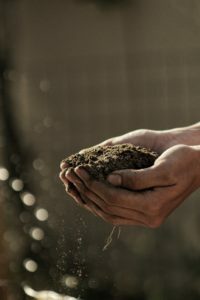 I had previously written about being new to the fine gardening scene and all the great teachers I’ve had along the way giving timely advice and demonstrating proper technique to accomplish standout results. Well, last season I had an opportunity to pay this knowledge forward working with a fellow new gardener, Liz. 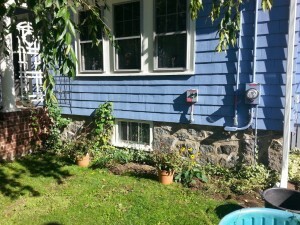 Liz has had the desire to beautify her property for the 3 years since moving there but wanted to avoid the uncertainty that comes with a new venture. 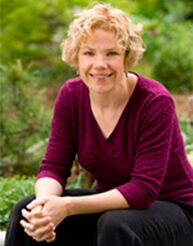 Christie worked with Liz to understand her desired goals and came up with a design to channel these energies. That’s where I came in. Liz and I set out on an early Saturday morning to do the first real groundbreaking on her new front garden beds. We were both excited. 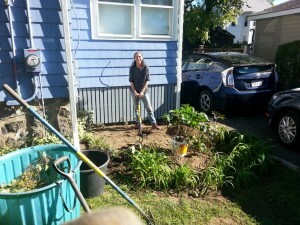 This was my first experience working one-on-one with a client implementing a new design and Liz finally got to start working on her garden that up until now had only been an idea. We dove right into our work. We transplanted Peonies and daylilies, defined/redefined bed edges, graded out beds and then began planting Hydrangeas and Persicaria. We were making great progress! I was preparing the beds, barely able to keep a step ahead of Liz who quickly became a whiz at transplanting and proper planting techniques with the new plants being added to her garden. As we progressed nicely and the garden was beginning to take shape some of the axioms of my mentors came to mind: slow down and most importantly HAVE FUN! So I started pulling Liz back away from our work so we could actually look at what we were doing, visualizing the end result and even playing around with the original design a little bit (don’t tell Christie). It was a great experience to see another new gardener full of ideas and pos itive energy taking to gardening so enthusiastically. Our newest gardener was off to a great start and when I left she was already thinking of the placement of some nice beach rocks she had collected and how to add those to her garden. That’s when I knew my job was done and I could leave confident that another gardener was well on her way. This entry was posted in Education, Garden maintenance, Gardening, Landscape maintenance and tagged Garden maintenance, Landscape maintenance on March 23, 2016 by Christie Dustman. The Stormwatch is BACK! Yes, this week, finally some slushy, mushy snow fell and I can officially declare landscaping season over. For me, this recent should-have-been winter season was like a baby refusing to take a nap. You rock that baby, you do bouncy bounce squats, you sing softly and no go, the baby screams and is a warm humid squiggle. But today, the baby finally gets to take a nap. The world of gardening beds down and I get a rest. The finality of SNOW and COLD concludes the seemingly endless feats of the landscaping year. Once there is cold and snow, it is a built-in finale – hey, what can you do? – it’s winter out there. 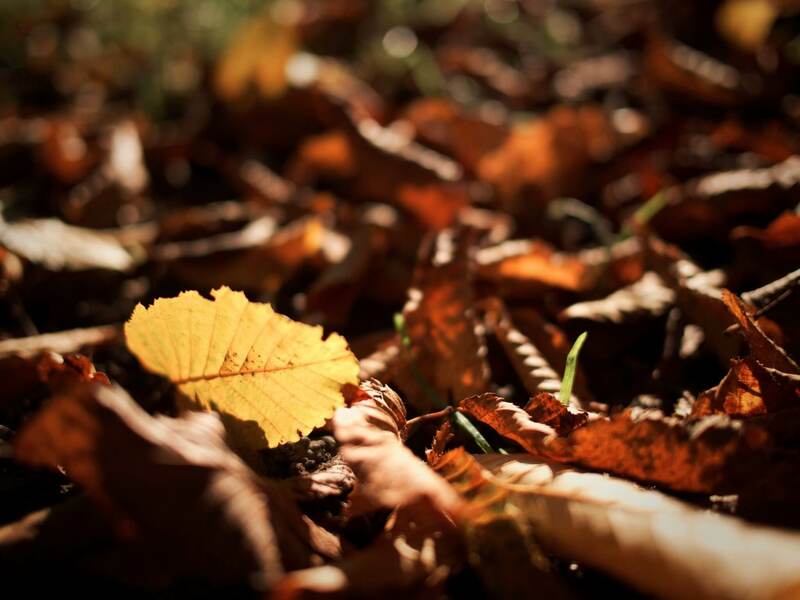 With the refusal of winter to alight this year, we all kept working. We worked past our usual “end” dates and I was still consulting and answering questions and building patios right through Christmas. While I love the action, I also long for the ying to my year long yang. The rest after the work, the peace in my mind after the demanding creativity and simply some time to catch up on things. Don’t get me wrong – I love landscaping as much as eating mint brownies and I love plants as much or more than some of my family – but I am ready for a rest. 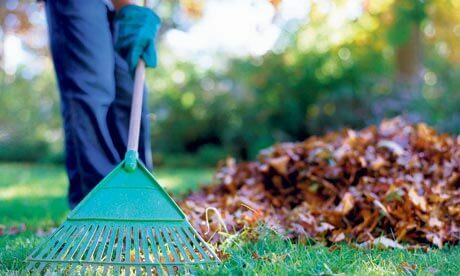 Feel free to stop thinking about your garden for a month too. 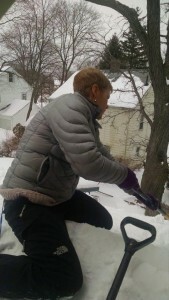 This entry was posted in Gardening and tagged Gardening, Winter on December 30, 2015 by Christie Dustman. When you see something amiss with your plants and vegetables, like uninvited guests dining on them, do you cringe at the thought of reaching for that chemical pesticide you keep in your garage? Do visions of Rachel Carson’s Silent Spring come to mind? You certainly don’t want to expose your family and pets to anything that could harm them or make them ill. 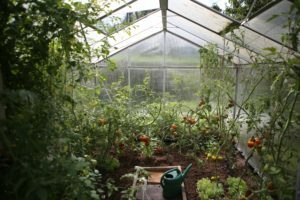 While you don’t want to harm beneficial insects like honeybees, you don’t want to see all your beautiful results, money and hard work being devoured either. What to do? Don’t fret, there are safe organic remedies that you can easily make yourself, often with ingredients you already have around the house. And you will save some money too! Various remedies make use of natural odors, bad taste, stickiness, texture & even heat to ward off pests. They call for such common household ingredients as onions, garlic cloves, jalapeno peppers, cooking oil & baking soda, just to name a few. 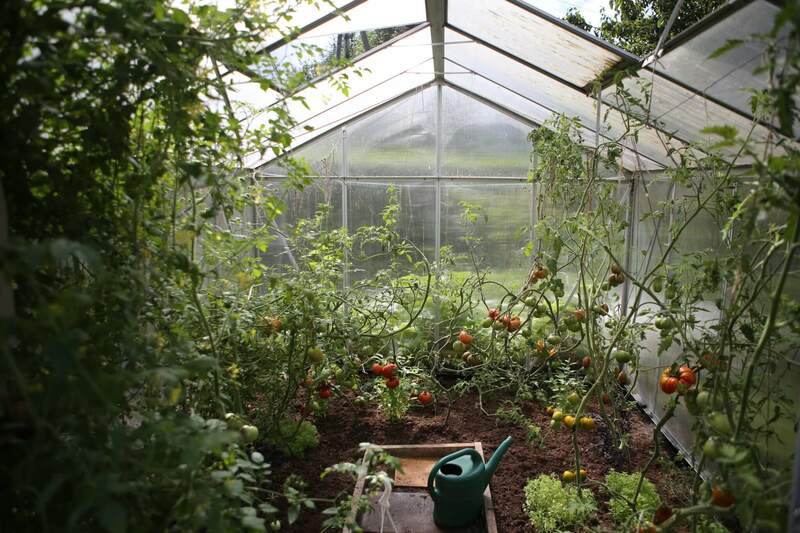 Growing certain flowers and herbs, such as Chrysanthemums, garlic bulbs & Marigolds, and planting them among your vegetables can also be an effective means to ward off certain insects. To apply any solution, understand the problem first. 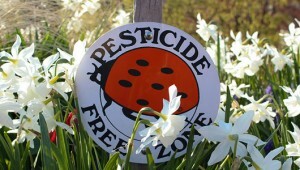 For instance, is the problem related to insect infestation, fungi, mildew or some other problem? 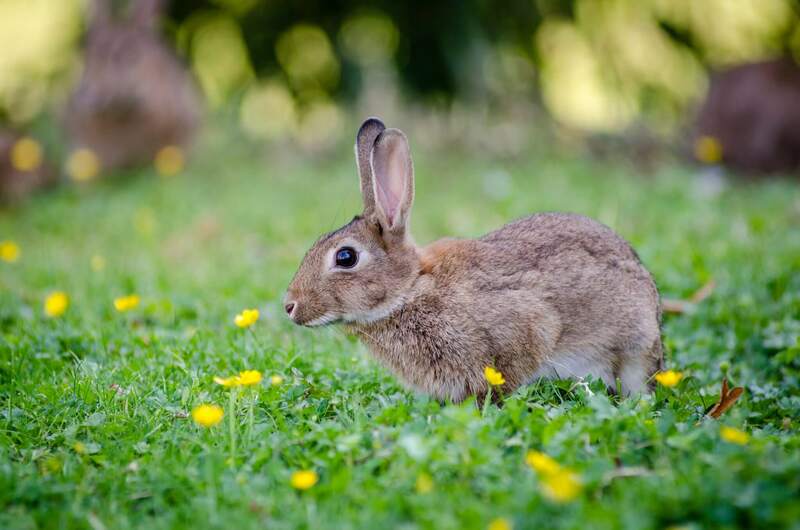 I have selected just a few websites that can help you select the right remedy and walk you through a few simple steps to get you on your way to safer, non-toxic pest control in your garden. Please share your results with us if you try or have tried any of these solutions! 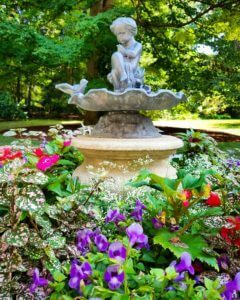 This entry was posted in Garden Design, Gardening, Vegetable gardening and tagged Garden maintenance, Insects, Natural pest control, Natural pesticides, Organic gardening, Organic sprays, Pest control, Plant mildew on September 24, 2015 by Christie Dustman. 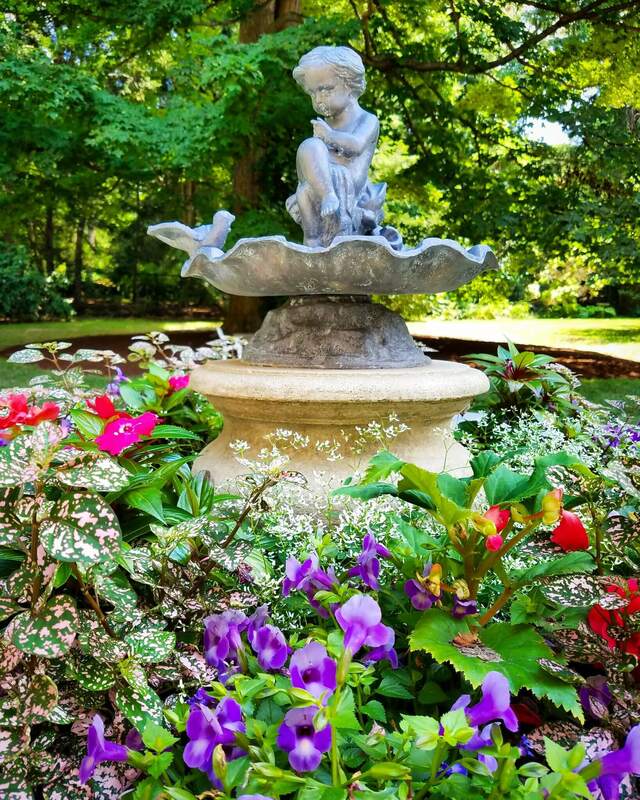 Flowers are finally blooming full force out in the gardens! The early ephemeral plants and bulbs have passed by to make way for the great showy blooms of late spring and early summer. With growing interest in the health of pollinating insects like Honeybees and the Monarch Butterfly, as gardeners we need to be planting the right flowers for our fluttering friends. Here is my Top 5 List of Plants for Pollinators. 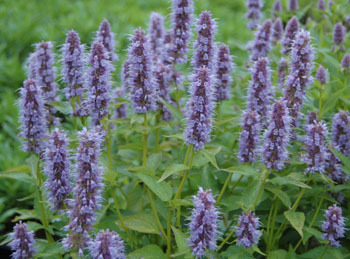 Blue Fortune Anise Hyssop – Agastache ‘Blue Fortune’ This showy perennial blooms from early/mid-July all the way to the beginning of October! With an attractive Anise aroma and tall purple spike flowers, this interactive plant for the landscape has foliage that attracts pollinators of all kinds. If you are lucky enough, you might also find Mantis hanging out in the plant looking for a snack of its own. This perennial will self-seed heavily if the flower spikes are not removed after blooms have passed. 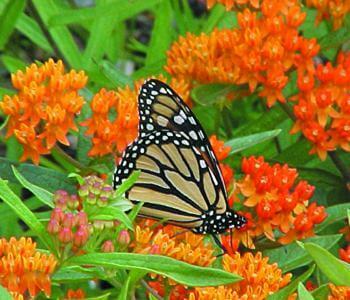 Butterfly Flower – Asclepias tuberosa With a name like Butterfly Flower this type of Milkweed MUST make the list! 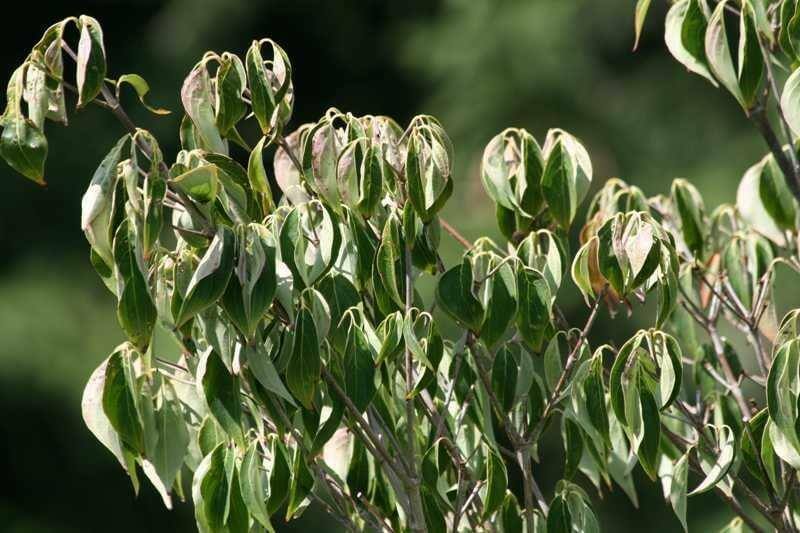 Asclepias are known to be an important part of the life cycle for the Monarch Butterfly. Sometimes referred to as the caviar of butterflies, caterpillars of the Monarch need this as a host plant to make the transition from caterpillar to butterfly. Visit The Xerces Society to find out more information on the importance of this plant and helping our pollinator friends. When planting, be sure to find a variety native to your region since the butterflies that visit your gardens will be dependent upon the local varieties. Purple Cone Flower – Echinacea purpurea This wonderful prairie wildflower is great for massing or in meadow plantings and can tolerate drought. It produces large showy flowers that are sturdy and long lasting. Seed heads provide a great landing pad for pollinators and provide winter interest if not cut back. Echinacea is also a valuable herb, much sought after for boosting the immune system. 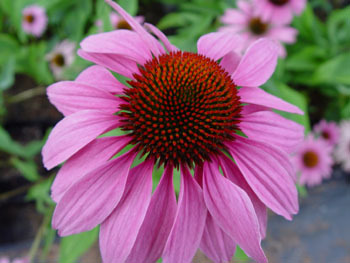 Due to advancements in plant breeding, Echinacea is available in a wide range of colors besides purple. 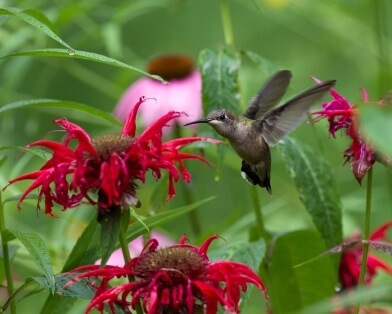 Bee Balm / Bergamot – Monarda didyma Bee-Balms are treasured garden herbs, nectar providers, and showy ornamentals. Monarda will draw attention with its bright spider-like flowers and can form impressive massings. This plant does best with constant moisture and ample space. Deadhead for extended bloom. ‘Jacob Cline’ is a mildew resistant variety and has handsome foliage. 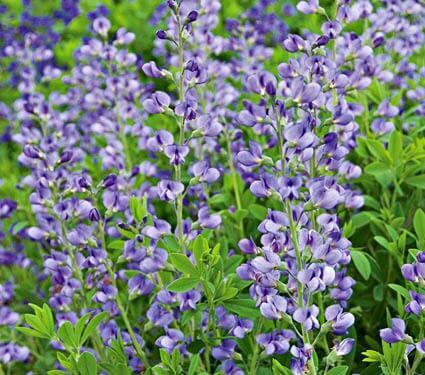 False Indigo – Baptisia australis Perennial Plant of the Year for 2010! This perennial is a bushy, long-lived plant for the back of a border. It has gray-green foliage, lovely pea-like flowers and likes to stay in one spot. Pods give long season of interest and attract many of the native bees. This drought tolerant plant is not just good for the pollinators but also for water conservation. Once established this plant requires minimal additional watering. 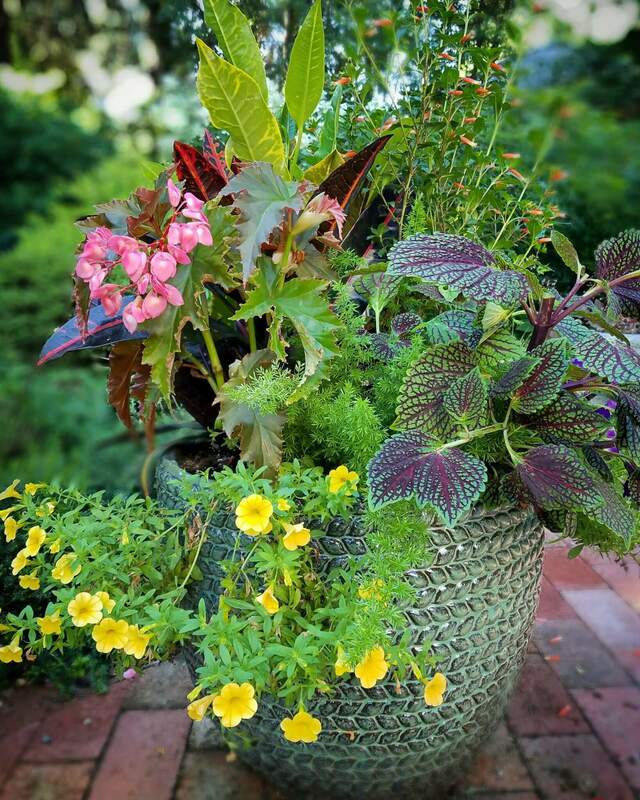 If you’re looking for more ideas for attracting pollinators to your garden, just ask us! We’re always available to help. 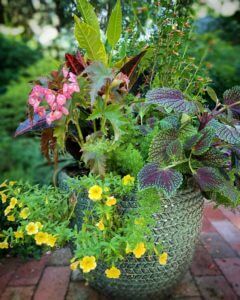 This entry was posted in Garden Design, Gardening and tagged Agastache 'Blue Fortune', Asclepias tuberosa, Baptisia australia, Bee Balm, Bergemot, Blue Fortune Anise Hyssop, Butterfly flower, Echinacea purpurea, False indigo, Honeybees, Insects, Milkweed, Monarch butterfly, Monarda didyma, Pollinator, Pollinators, Purple cone flower on June 18, 2015 by Christie Dustman. You would think we wouldn’t have to worry about watering now after all that snow we slogged through this past winter. However, you’d better get out your watering hoses and sprinklers. After a record-breaking108-plus inches of snow, our precipitation totals for the past 2 ½ months are less than half of our normal rainfall – only about 5 inches for March, April and half of May. The last truly measurable amount of rain was on April 20th (1/2 inch), and before that, March 26th (1/2 inch). Our plants are panting for moisture. With so much snowfall, what happened to the water? Well, usually 10 inches of snow would give us 1 inch of water, but when the weather is bitterly cold for prolonged periods (remember hunkering down for most of February? Even the governor told us to hunker down! ), the snow is lighter and has much less water content when melted. Our 108 inches of snow only gave us about 5 inches of water instead of the 11 inches we should have had. And if April showers bring May flowers, we shouldn’t have had any this year given the lack of rainfall. As the weather forecasters like to say, we’re in a dry pattern which looks to continue for probably the rest of the month and possibly into June. We recommend deep watering to get moisture down into the top 18” of soil where the majority of water-absorbing roots are found. 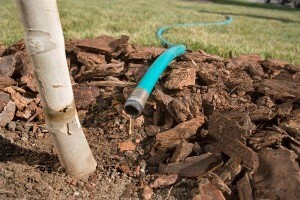 The ideal method is the slow-soak method – put your hose at the base of the plant and turn on a low trickle from your hose for 1 hour per plant. Keep track with a kitchen timer so you don’t forget and leave the hose running. If you are fortunate enough to have a sprinkler system, use it! An adequate amount of water would be 1-2” of water every 4-7 days, as we continue to have little or no rainfall. 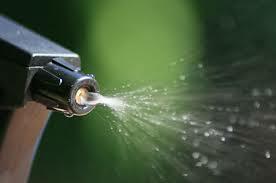 So get out those hoses and turn on those sprinkler systems, and plan for weekly watering. 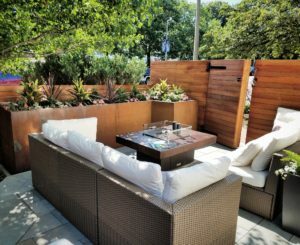 Our plants are a valuable investment and provide shade, decrease noise pollution, and cleanse the air, as well as giving us a relaxing alternative to the urban environment. 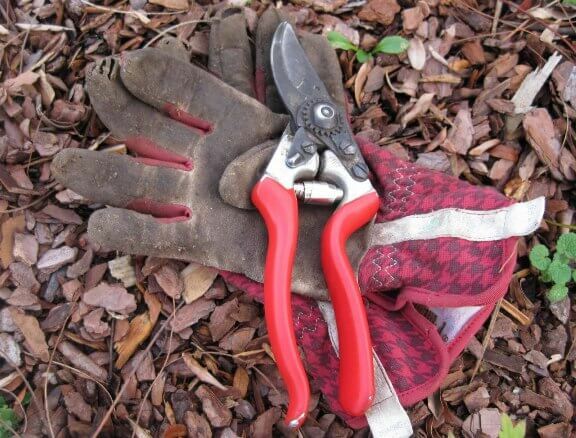 This entry was posted in Gardening, Landscape maintenance and tagged Deep watering, Garden maintenance, Landscape maintenance, Watering on May 14, 2015 by Christie Dustman.